PR campaign question: Are influencers more effective than celebs? 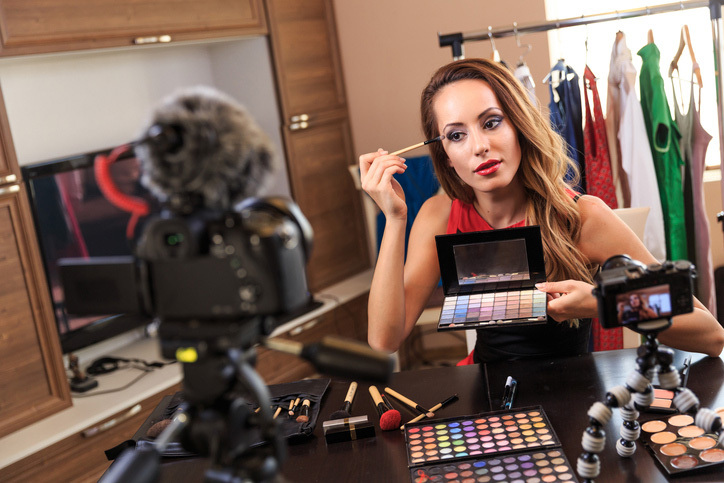 If you ask the beauty marketing sector, the answer appears to be yes, with social media stars now the go-to faces for any PR campaign relating to how good we look. This is according to the Influencing Beauty report, compiled by influencer data tool Celebrity Intelligence, which surveyed 385 marketing specialises working in beauty, and found that 84% considered influencers as their top choice for promotional activities, much more than traditional celebrities. We recently reported on how influencer marketing budgets were continuing to rise, despite some of the concerns we have written about regarding suitability, reliability and longevity of influencers. As such these new figures don’t come as much of a surprise, especially when— irrespective of potential problems— Influencing Beauty also found that for every £1 spent on influencer marketing, brands received £8.81 ROI. Impressive by any standards. Does this mean we should all rush out to partner influencers for that PR campaign? In a word, ‘no’. In fact, this is the last thing you should be doing. The latest edition of our newsletter went out last week, and featured a piece whereby our MD Rick Guttridge offered some sage advice; companies continue to go wrong with influencer marketing because they are often looking in the wrong places for their influencers. Where should we be looking then? Put simply, anywhere and everywhere that’s relevant to your industry. That sounds open-ended because it is. By comparison, advising on what to avoid is a little easier; just because someone appears to shout loud, claims a lot of followers and has accumulated tons of fans doesn’t actually mean they will be the best placed to amplify your message. Engagement levels are far more important. Are there specific channels that work better than others? Again the question is far too broad. In the case of beauty, though, a PR campaign that involves collaborations with an influencer seems to be most successful when launched to Instagram. Historically YouTube has been the platform of choice. Will I see sales growth? Ideally yes, but this is really missing the point. Partnering with celebrities and influencers is really about building brand awareness, rather than increasing immediate sales— that part should come later. Influencers are widely recognised as a crucial factor in marketing to millennials, that elusive demographic aged between their early-20s and mid-30s, notoriously fickle and difficult to reach. 80% of those in the Influencing Beauty survey described influencers as ‘pivotal’ in attempts to court this demographic. It’s important to note that not all this will apply to every PR campaign, all brands and each industry. Influencing Beauty found that the majority of respondents agreed the beauty industry was doing far, far better at working with influencers. This may be partly to do with the fact influencers are simply not suited to some sectors, or perhaps there are areas that simply haven’t figured out how to best use these new marketing opportunities. Want to explore influencer marketing but not sure how? Download our free comprehensive guide now.